This card took on a life of its own! I had intended it to be a simple one layer sponged strip with the greeting, however, as I was sponging - my masks moved! 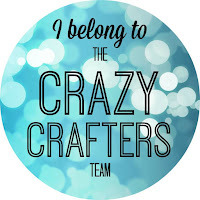 To cover up my mistake (once I'd stopped chastising myself! 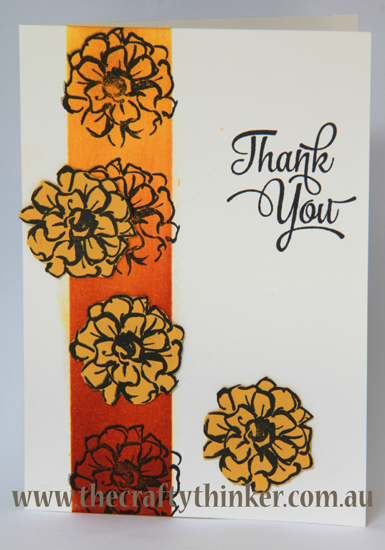 ), I stamped more of the flowers onto Crushed Curry cardstock with black ink and cut them out. Then I carefully arranged them to hide the worst of the problem! The colours I used are Crushed Curry, Pumpkin Pie and Cajun Craze. The greeting is from One Big Meaning and the flowers are from the Sale-A-Bration set called What I love (free with any purchase of $90). I used Shimmery White cardstock for the card because I like it for sponging and watercolouring and it also has a good weight for a single layer card. Click on the images below to purchase any of the supplies.